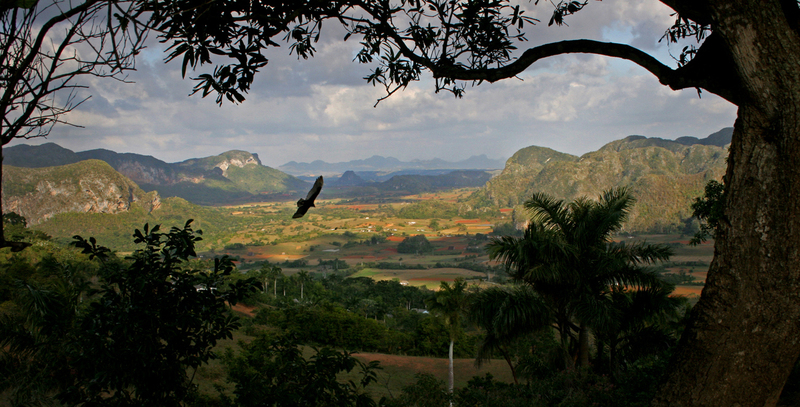 When I go to Cuba I always find an excuse to visit the Viñales valley. The bird flying in the center is a “tiñosa” (buzzard). Picture taken January 18. 2005. This entry was posted in Animals, Cuba, photography and tagged buzzard, Cuba, guajiros, Nature, Pinar del Rio, tiñosa, tobacco, Viñales, Viñales valley, Viiii. Bookmark the permalink.